It's as you were at the top of La Liga after wins for Real Madrid and Sevilla, while domestic and continental cup opponents Real Sociedad and PSG also earned victories. Real Madrid bounced back from two successive defeats in league and cup respectively with a hard-fought 2-1 win over Málaga at the Santiago Bernabéu.Sergio Ramos, who scored an own goal in the defeat against Sevilla last week that ended their 40-match unbeaten run, made amends with his side’s two goals. 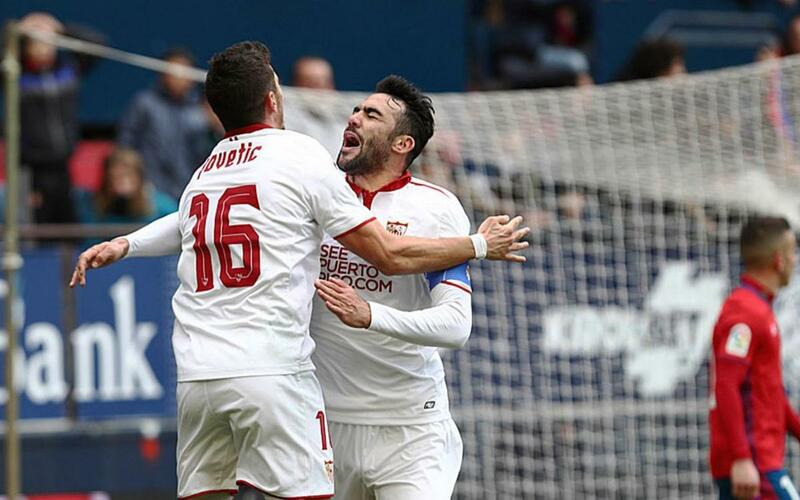 Sevilla, on their part, kept up the pressure on Madrid and remained in second place a point above Barça with an entertaining win over Osasuna. Jorge Sampaoli’s men twice had to equalize before going 4-2 ahead and held on for the win despite a late strike which reduced the deficit. Barça face Real Sociedad in the second leg of their Copa del Rey quarter-final tie on Thursday, and the Basque side prepared for their visit to Camp Nou with a 1-0 win over Celta Vigo thanks to a 72nd minute strike from Juanmi. The next league commitment for Luis Enrique’s men is a trip to Real Betis. The Andalusians were unable to break down a stubborn Sporting Gijón side and were forced to settle for a goalless draw. Champions League last 16 opponents PSG ran out 2-0 winners on the road against Nantes with a goal in each half from frontman Edinson Cavani. The Parisians remain three points off leaders Monaco and closed the gap on second-placed Nice who slipped to a 1-1 draw at Bastia.